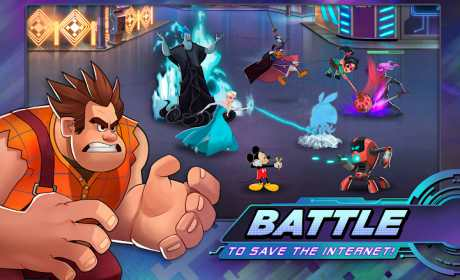 Join the battle in this action-packed RPG starring Disney and Pixar heroes from The Incredibles, Wreck-It Ralph, Toy Story, Zootopia & more! Welcome to the digital City… and enjoy it while you can. A wicked virus is corrupting every pixel, turning even the heroes’ own friends and family against them! Pull together the best teams for the job, equip powerful gear, and battle against incredible odds to save your fellow heroes. Only YOU can win the day! No cape required. 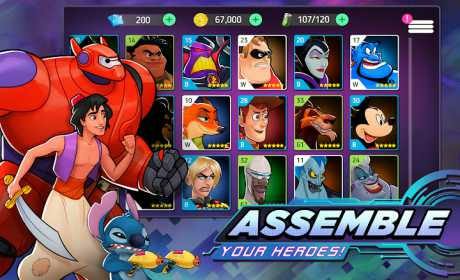 • Collect & battle with 25 Disney & Pixar heroes, including the the Incredibles, Wreck-It Ralph, Buzz Lightyear, Captain Jack Sparrow, Judy Hopps, WALL•E, Mike Wazowski & more! 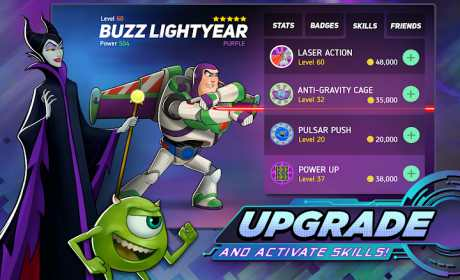 • Explore a new digital world & save your fellow heroes! You can download and play this game for free. Please be informed that it also allows you to play using virtual currency, which can be acquired as you progress through the game or by paying with real money. This game contains advertising which will redirect you to a third-party site.